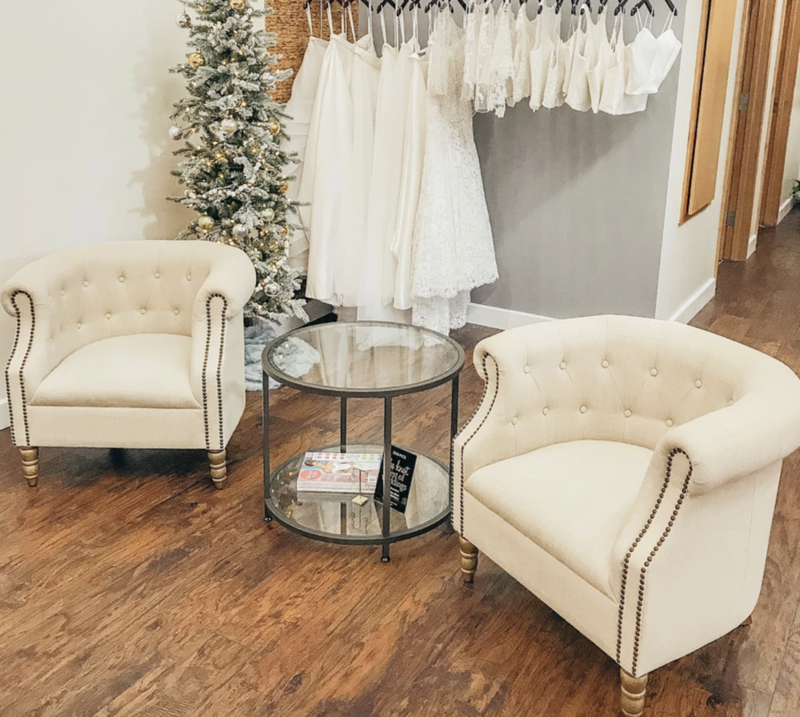 A few weeks ago, Paige, the super sweet owner of Something White Bridal Boutique reached out to show case some gowns and I immediately said yes because WHO DOESN'T WANT TO TRY ON WEDDING DRESSES?! I asked her to describe SW in three words and she chose: chic, personable and lively. I couldn't agree more! They truly make you feel so comfortable and try to match your style as quickly as possible. The dresses all have a sense of timelessness but are so trendy at the same time! 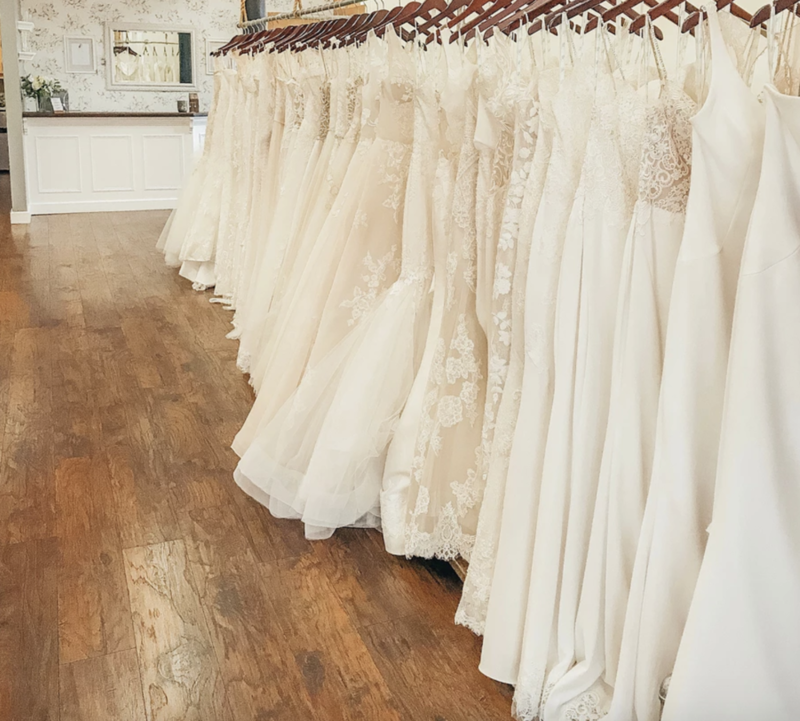 I first went to Something White when I was shopping for my dress. 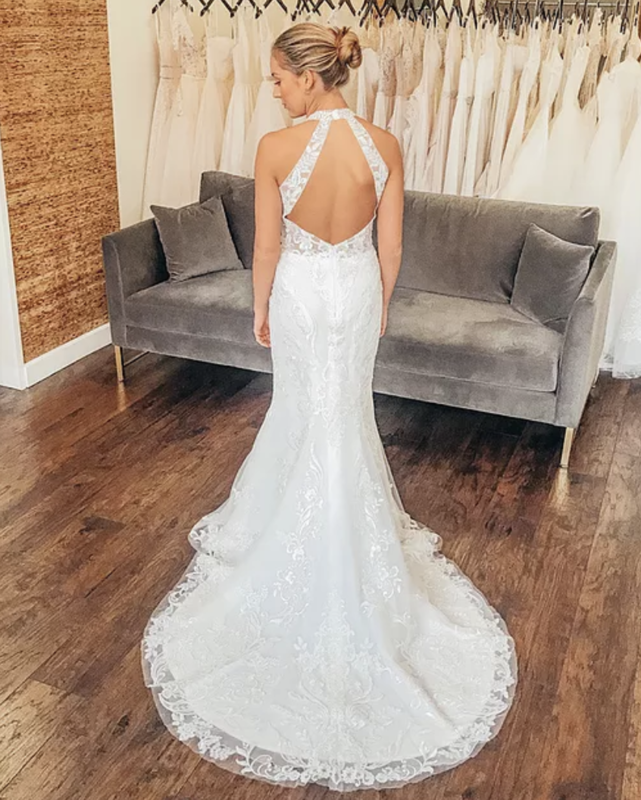 No lie- from the moment I stepped in SW, I knew I would find my dress. Just by looking at the racks, I could tell that the dresses were unique, but not too out there. It was by far the place with the most styles of dresses. I specifically was looking for a ballgown and was surprised how hard they were to come by before SWBB. They really do a great job of making sure there's multiple variations of style within each cut of dress. I ended up finding exactly what I wanted, and had plenty of options to choose from. Like I said, they work hard to capture the vision you have for your dress- I actually didn't even pick out my own! She brought it into the room and I was hesitant, but fell in love immediately after putting it on. The dressing rooms are giant and they never overbook. The day I shopped for my dress there was only one other girl in the store! It felt so personal and tailored to each individual bride. 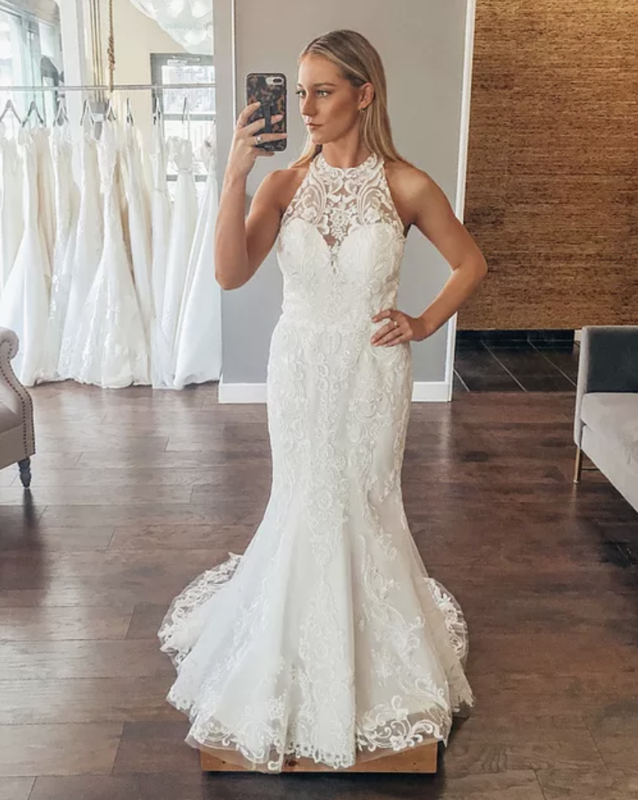 For the try on session, naturally I gravitated to the ball gown cut, but I also found some gorgeous A-line and Mermaid dresses. I even got to try on a few that I remembered from dress shopping the first time that I didn't get to! 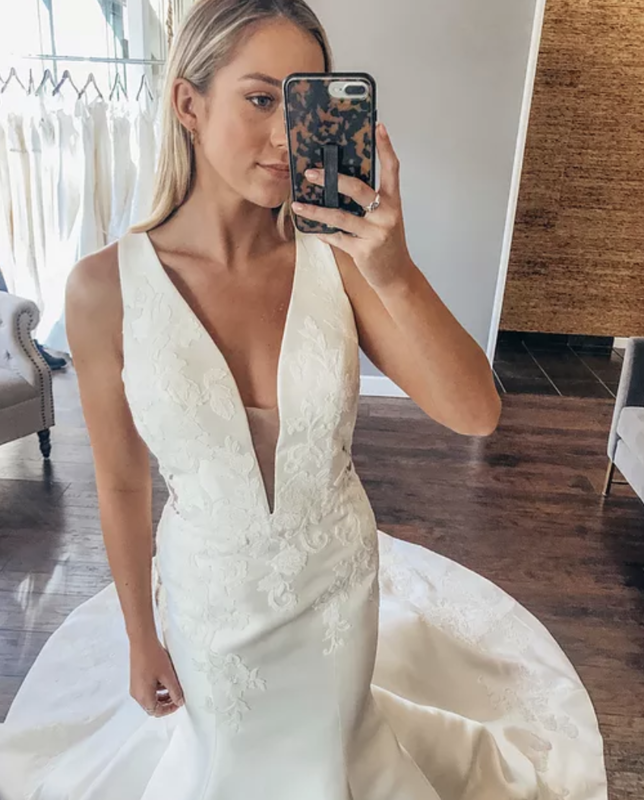 This dress was Paige's favorite and I totally see why! It was extremely flattering and I felt so chic! This one would be easy to make a little more modest as well- just sew together the front! Most designers carried at the store allow you to close deep Vs, add sleeves or change lace. I love this dress for it's mix of traditional and trendy. It, too, was very flattering and the cutouts were so much fun! I think this was my favorite of the day. This next one was STUNNING in person. No picture could do it justice because of the detailing but I assure you, its absolutely gorgeous! I remembered this one from when I was shopping for my own dress. The stripes were SO FUN! 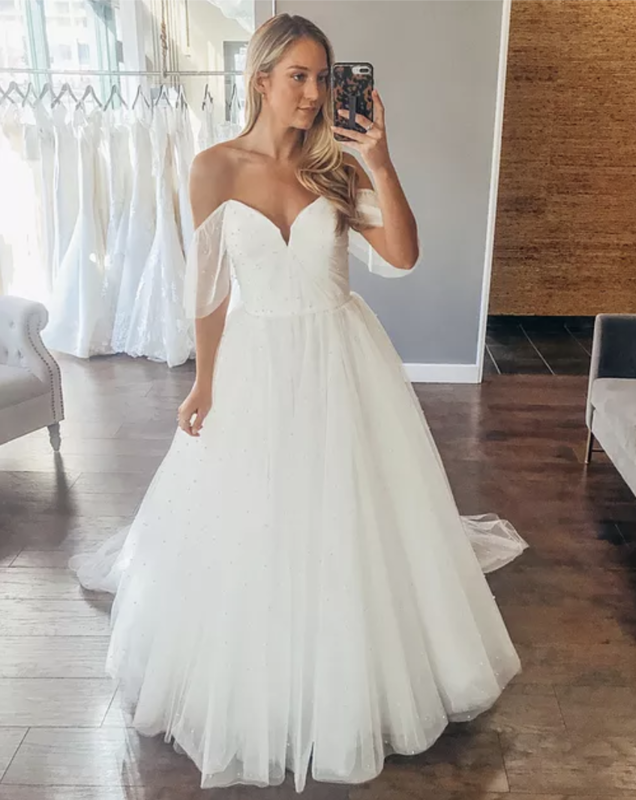 I would die if I saw a bride wear this one, I loved it! Again, the deep-v can be closed to make the dress a little more modest. OK princess dress alert!!!! It was tulle and had pearls all over- a true fairytale dress!! I just wanted to twirl in it hehe! Look closely and you can see just how many pearls there are. I felt like a bride straight out of the 1920's with this one! It was another one that no picture could do it justice. 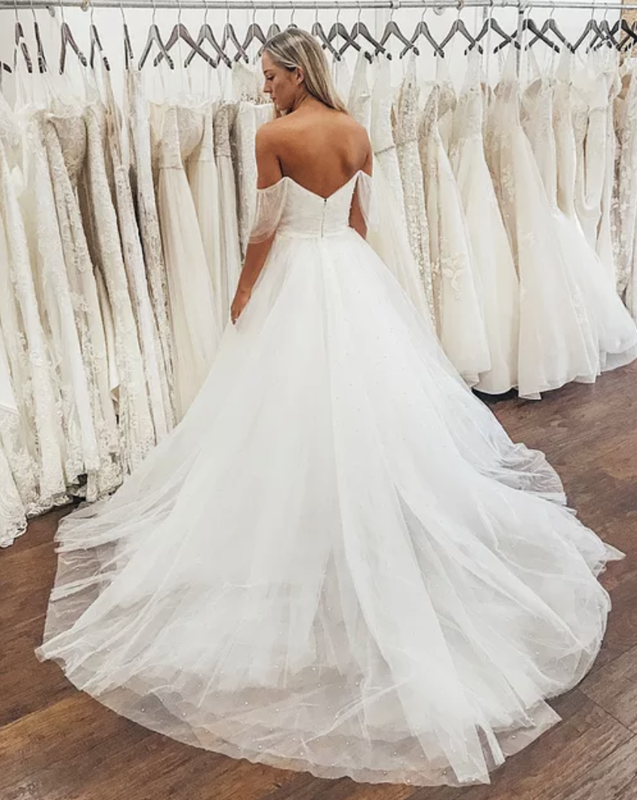 I truly have never seen a wedding dress like this and I was obsessed with the sleeves. Super comfy too! Off-the-shoulder sleeves are one of my favorite things and this dress had the cutest ones with lace and tulle. The lace detailing around the torso was extremely flattering around the waistline. I felt so feminine in this one! SW also has the option to piece together your own gown by choosing a top and a skirt! This next dress is actually two separate parts but you'd never guess! I love the simplicity. You seriously piece together your own dress! This next one was simple, clean and elegant with a modern skirt for fun! I liked the mix of the two styles and it was very flattering! High necks are in and I'm into it. This is another dress that pulled classic features and put a modern twist on it. The back was absolutely gorgeous! I cannot tell you how much I love Something White and the gals who work there. They work so hard to capture your vision and bring it to fruition. The whole vibe of the store is fun and welcoming and I would recommend it to absolutely anyone! I'm so happy I got my dress here and I'm even more happy to have had another chance to work with a boutique I truly believe in! 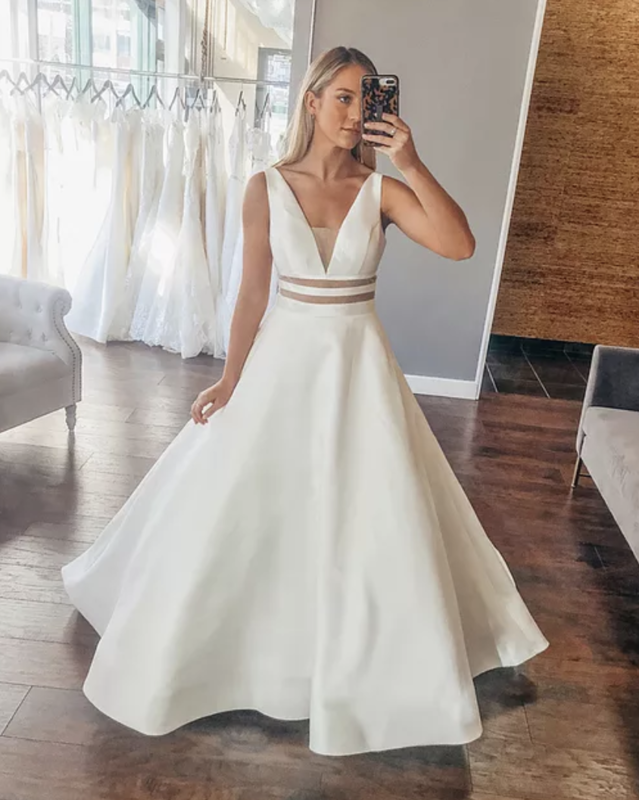 You can check them out at www.somethingwhitebridalboutique.com and @somethingwhitebridalboutique on instagram!